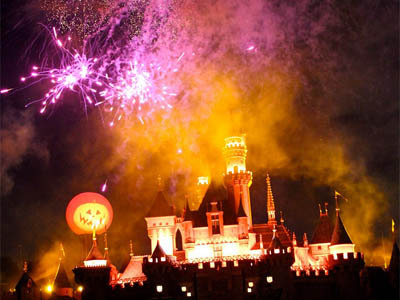 Home » Blog » Top Destinations: Disney » Mickey's Halloween is all Treats, No Tricks! Mickey's Halloween is all Treats, No Tricks! At Piratepalooza in Rancho del Zocalo Restaurante, kick up your boots with Goofy and other swashbucklers. You’ll also enjoy complimentary parking for one vehicle. Larger vehicles may require an additional fee. My favorite part of the evening, however, is the fireworks show. It’s one of Disney’s most spectacular ones for the whole year. “Mom! I never knew Disneyland could be so amazing!” my son (already a park veteran at age 7) said to me after the show. For more information, and to purchase tickets ($49-69), visit the Disneyland website.